Welcome to the Johannes Oentoro Library! Our Library consists of three locations: the Central Library, the Medical & Nursing Library, and the Graduate School Library. Each site offers services, facilities and study space. There are also comprehensive collections of books, journals (print and online) and other course-related materials, such as videos, magazines, CDs, DVDs, newspapers and more. Our Vision: To be a campus community center which pioneers, inspires, and ignites a dynamic spirit of learning, academic and scholarly pursuits, and fulfills the vision of UPH. Our Mission: To support the learning and research activities of the University by providing SERVE (Sympathetic, Easy, Rapid, Valid, Enthusiastic) quality services, providing access to information resources in all formats, and educating users to use information resources and technologies in ethical ways based on Christ–centered principles. Our Core Values: These values are the guiding principles that dictate our behavior and actions. Johannes Oentoro was born on May 24, 1952 to Untung Oentoro (Oei King Oen) and Hilda Oentoro (Lauw Hernien) in Semarang, Central Java. He is the eldest of five siblings: Johannes, Ninie, Tony, Hanaand, and Jimmy Oentoro. He was married to Susanti Sukamto, and was blessed with two lovely daughters: Ancella Tobias Oentoro and Annette Tobias Oentoro and granddaughter, Mischela. Graduating with Bachelor of Electrical Engineering from Satya Wacana Christian University, Salatiga in 1977, Dr. Oentoro's never ending passion to learn led him to further his study in education at Griffith University, in Brisbane, Australia. His dissertation, "Total Transformational Education", earned him a well-deserved Ph.D degree ini 1997. His educational journey later took him to Quachita Baptist University, Arkadelphia, Arkansas, where he received a Doctor of Business Administration (H.C) in 2004. His vision focused on nurturing students to believe in the true God, to strive for true knowledge, and to exhibit godly character as Jesus Christ has modeled. His concept of transformation has inspired education across Indonesia. As the first of his fruit, Sekolah Pelita Harapan was founded in 1993. He had to leap many hurdles and endure sacrifices during the early days of the school, but with perseverance and strong belief in God's plan, he overcame all odds. He never once abandoned his calling. SPH later became the model for other educational institutions that grew rapidly under the Pelita Harapan Education Foundation. Universitas Pelita Harapan (UPH) was established in 1994. Sekolah Dian Harapan (SDH) followed in 1995. Then in 1998, Sekolah Lentera Harapan (SLH) was established with the noble purpose of providing quality education to lower income groups. 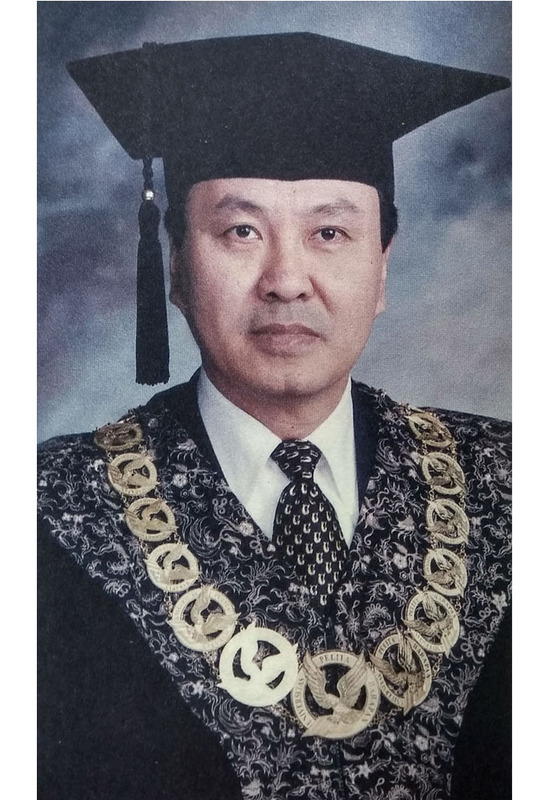 His extensive organizational involvement in highly regarded associations ranged from The Council of Christian Education in Indonesia, The Ecumenical Scholarship Foundation, The National Education Reformation Committee, The Association of Christian Universities and Colleges in Indonesia, The Board of Trustees SatyaWacana Christian University, to the International Board of Reference of New Hope International in Australia. He was also recognized as a finalist for the Ernst and Young Entrepreneur of the Year award in 2004. He was also well-known for his beautiful voice and his passion for classical music. He recorded vocals for a classic Christmas Gift "Holy Night" DVD with songs like "O Holy Night", "Silent Night", "It Came Upon the Midnight Clear", "O Come all Ye Faithful", and "The Lord's Prayer" under the production of the Harvest Praises Ministry for Indonesian Harvest Outreach Partners. In health care, Dr. Oentoro was also the Founder and President of Siloam Hospital, Tangerang, as well as the President Commissioner PT for Siloam Health Care. Dr. Oentoro's accomplishments show how one man can make a significant difference in the world. For all of Dr. Oentoro's dedication in education and health, he has left a priceless legacy and fond memories. The Library was established on June 1994 in a 45 m² area located on the 2nd floor of the Lippo Bank Building, Kedoya Branch in Jakarta. At that time, the Winnebago automation system was implemented. Two months later, the library was relocated to a 250 m² area in the Menara Asia Buidling in Lippo Karawaci.